For pure fun it doesn’t get any better than an ALL DAY UNLIMITED FUN PASS for Group Outings and Company Picnics! 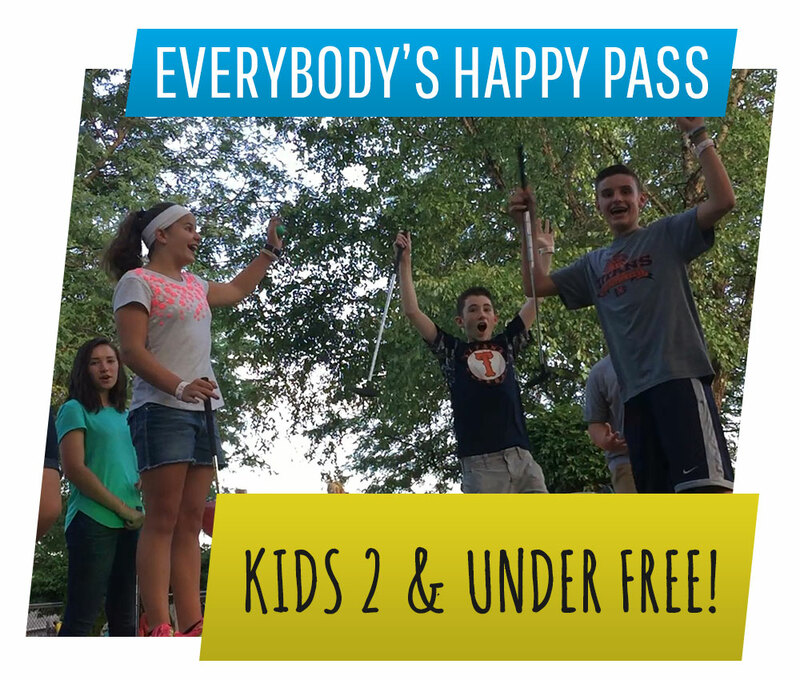 * “Everybody’s Happy Pass,” is designed for kids under 48″ tall (not tall enough to be able to be the driver on either of our go-kart tracks). 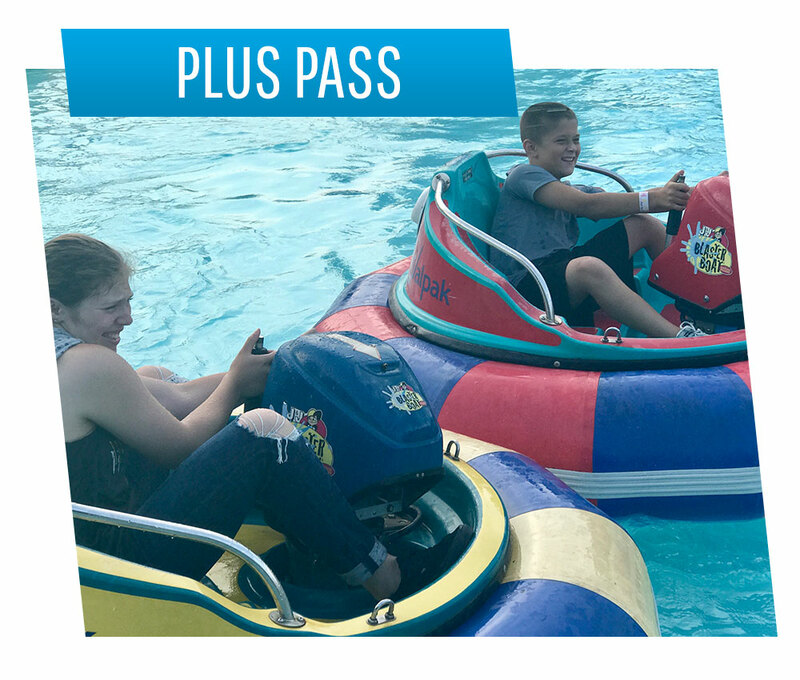 With the Everybody’s Happy Pass, guests receive a PLUS PASS + $8 in Game Play in our Gameroom in lieu of not being tall enough to drive a go-kart. 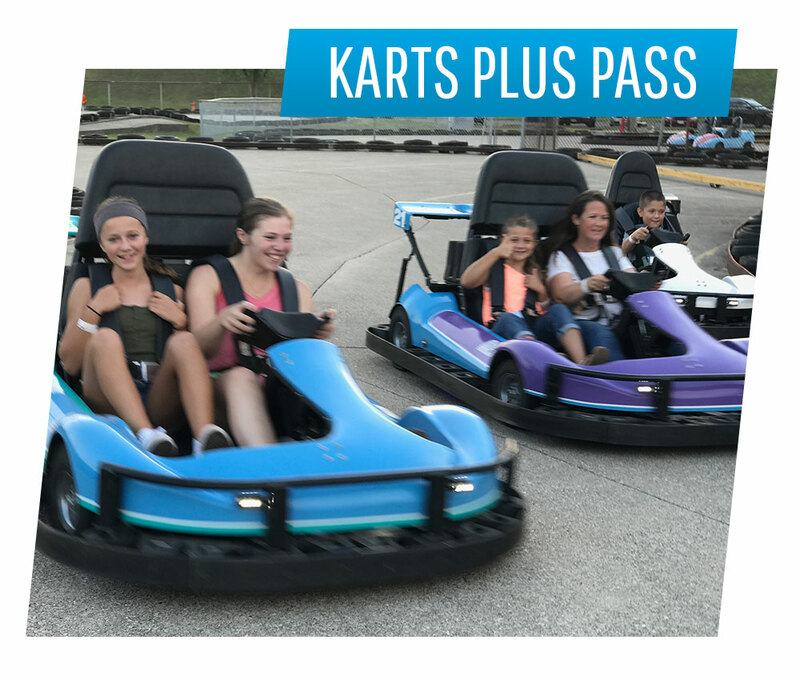 Guests with PLUS PASSES may ride as a passenger on our Grand Prix Track IF they are at least 3 years old, and are at least 40″ tall and the driver of the go-kart is at least 18 years of age. There are minimum age and height restrictions for several of our attractions that are a part of our All Day Unlimited Attraction Packages. Children who are 2 years and younger do not meet these minimums. Any child that is part of a group outing whose sponsor (company, organization, etc.) has purchased All Day Unlimited Attraction Packages for their guests, will be given a FREE TODDLER WRISTBAND that permits children 2 years and under to play Unlimited Rounds of Miniature Golf and Unlimited Play in Kids Korner Indoor Play Area. A Party Pass permits your guests to choose extra activities of their choice. 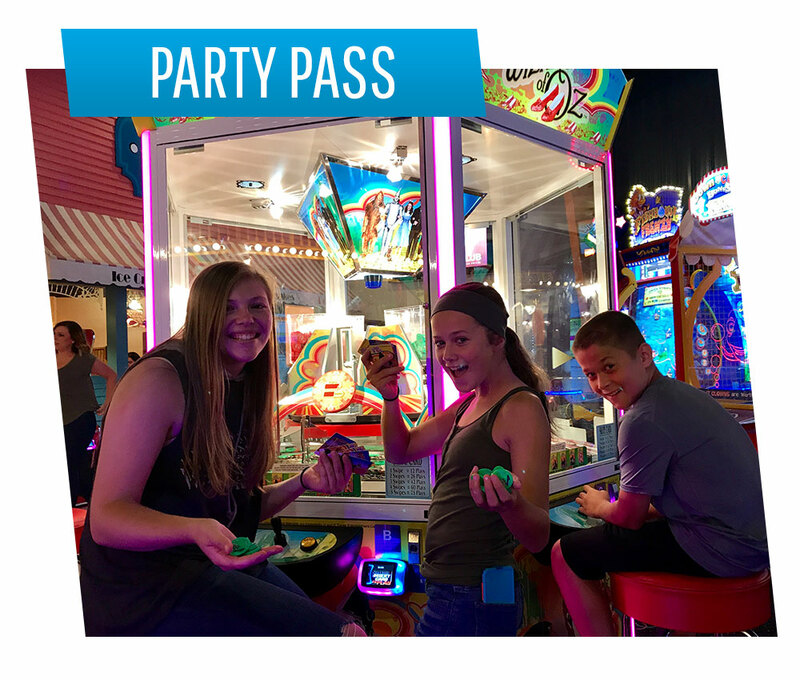 Each Party Pass can be redeemed for $7 in Game Play in our Gameroom+ a FREE SNTFUN CARD (Be sure to inform your guests to keep this card as it may be reloaded and they will likely receive future specials and rewards if they register the card) or 5 Batting Range Tokens (13 pitches per token). Save $12 off the retail rate! Buy Batting Tokens in BULK and SAVE! to your package as an EXCLUSIVE UNLIMITED PLAY activity for only $75/hr. (2 hour minimum).